In order to maintain a safe and secure environment on campus at the University of Birmingham, the estates department commissioned the refurbishment of mechanical push-button locks and lock and keys, with new easy-to-maintain digital keypad locks. The challenge of controlling the flow of students, staff and lecturers in and out of campus buildings at all hours of the day is a considerable one. There are many areas on campus that are vulnerable where property, materials and confidential information need protection. To help solve its access control issues, the University of Birmingham use a combination of card access, coded locks and traditional lock and keys. The mechanical locks were in use all over campus, on doors to lecture rooms, laboratories, plant and IT rooms. Typically codes get passed on regularly from student to student, rendering the locks less effective at restricting access. To change the access code on a mechanical lock, the lock has to be removed from the door, taking time and causing disruption. Changing the access code on an electronic lock takes seconds, without the need to remove the lock from the door. The University employs Martin West to look after and maintain all the locks on site. He was tasked with sourcing a digital lock that could incorporate the University’s master key cylinder, being either euro profile or British oval profile. The new lock would also need to allow the University to stay DDA compliant. “The issue of cylinder override was the main problem to get around, especially the areas covered by British oval profile. We had to source a lock body that worked using an oval cylinder, which we managed to do,” said Martin West, director of Safe and Secure Locksmiths. Martin specified over 100 new Codelock CL5000 digital locks, half of which were used to upgrade the mechanical locks and the other half to replace lock and keys. The new locks are easy to install and require very little maintenance, other than an occasional battery change. The CL5000 code lock is robust enough to handle the high amounts of traffic generated by students and staff at the University. 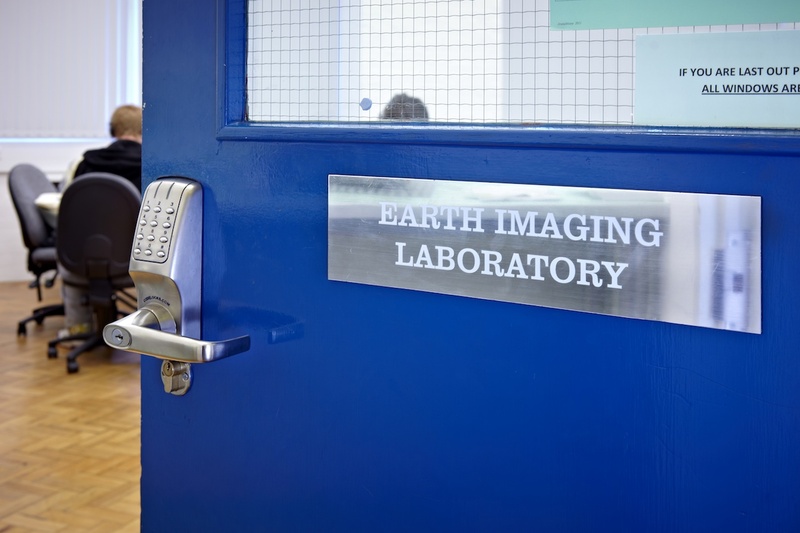 It is fully programmable on the door via the keypad with a range of functions including tamper time out, to help prevent students guessing the code, and code free entry, which is useful when lecture rooms need to be left open during the day. Maintenance employees at the University use the key override feature on the CL5000 to gain access to areas without having to remember all the codes. Martin is able to change the access codes on a more regular basis, which is convenient and better for controlling student access. The University saves money, as it costs four times less to change the code on a digital door lock than a mechanical one. To see our full range of mechanical and electronic digital door locks for use on doors in universities, schools and colleges visit our website or give us a call on 0800 393405.